The role of the cantor in the Byzantine Catholic Church is a very important vocation in service to God. A list of the cantors who served at St. Michaels follows this article. The cantor’s main role is in assisting the priest by leading the faithful in worship during the Divine Liturgy. In the Byzantine Church active worship for parishioners attending Liturgies means singing (praying) the Liturgy. The Divine Liturgy is a dialogue of prayer, and all the prayers are sung. Since the Liturgy is prayer, without participation of all present, especially the parishioners singing in the dialogue of prayer, there would essentially be no Liturgy. Parishioners are active participants when attentive to the prayers being placed before God, in actively attentive to the readings of Scripture, listening carefully during the homily and open to the Holy Spirit through its message, and receiving Christ in the Sacraments. The cantor encourages parishioners active participation in singing the Liturgy by setting the tone and pace of hymns or responses in a manner supporting this goal. In recognizing that active worship means all present are engaged in the Liturgy, the cantor plays an important function in the spiritual life of the parish. The cantor also serves as a lector/reader with the chanting of the Epistle during Divine Liturgy prior to the reading of the Gospel. There are many occasions where the cantor is called upon to assist, for example, with funeral services, blessing of homes, and various prayer and memorial services. The cantor’s extensive knowledge of the many types of services and the liturgical calendar, along with all of the corresponding verses, responses, and hymns that are sung are fundamental to the role. 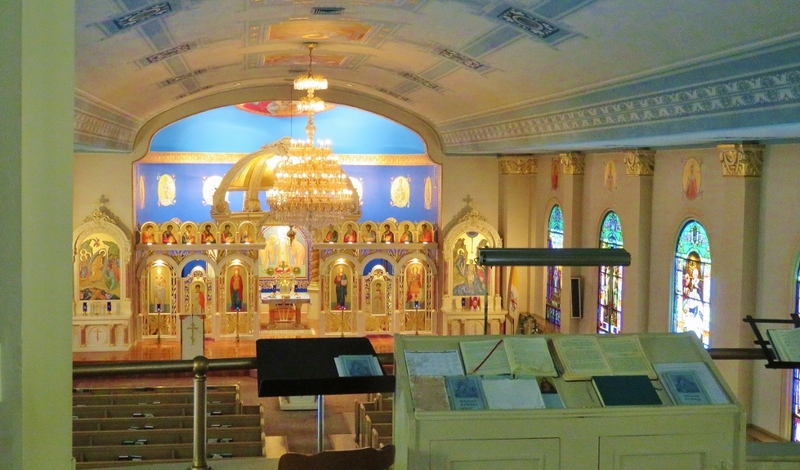 The cantor must also be skilled in understanding the various plain chant tones unique to the history of Eastern churches, all of which are sung acapella, that is, without accompaniment of any musical instrument. It is not traditional to have organ or instrumental music in the Eastern Churches, but rather to depend on the gift of the human voice as the most humble vehicle of praise to God. All of the skills the cantor achieves are developed with training, practice, and experience. But most importantly, through desire and interest in supporting the church’s needs and in singing praises to God. Educational programs and resources in the specifics of being a cantor are available online through the Metropolitan Cantor Institute, Archeparchy of Pittsburgh. Since singing is continuous in most Byzantine liturgies, the cantor is very aware of timing in all that is happening or about to occur next at the altar, especially in providing enough elaboration for the priest to complete prayers and other elements of the service. While the cantor and people are singing, the priest is praying additional “silent” prayers which are part of the Liturgy. Both priest and cantor must function together in a coordinated manner. This coordination may be so well-established that it appears to be without effort. In reality, a seamless outcome only attests to the experience, practice, and spiritual acuity of the cantor. In harmony with the priest, the cantor’s skills and talents are intrinsic to the beauty of each Divine Liturgy and in all prayer services. When all elements of liturgy function in unity, the result is much more than merely beautiful singing. In Byzantine Catholic worship, singing is sacred prayer to God, not an option or side enhancement, but the way of worship itself . Singing from the heart of one’s soul elevates all to praise and thanksgiving, in familiar petitions and supplications. It is evidence of the Holy Spirit and the graces of God present in the Body of Christ, the church. And this is why the cantor has an important role in each parish. All of our cantors and those who accompany the cantor are individuals whose effort and time are most appreciated and worthy of our gratitude. We invite anyone who would like to learn and serve as a cantor to contact our pastor for more information and discernment. Pictured are some cantors from our parish and visiting parishes helping out during our Lenten and Pascha season Liturgies in 2018. We have been blessed to have the following cantors serve our parish. The above list is a partial listing. Please add to our historical data base of cantors. If you are aware of a name not listed contact our parish.